Whether you’re looking for a fence that protects your privacy or a dream white picket fence, Vinyl By Design has a wide range of vinyl fencing to satisfy your need. With styles ranging from complete privacy to wide spacing and heights ranging from 3′ to 6′ in select styles, complete the look of your yard or patio enclosure with an eye-catching vinyl fence. 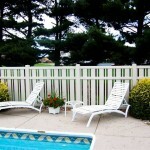 The Aurora-style fence is a semi-privacy fence that provides a sleek and interesting look. 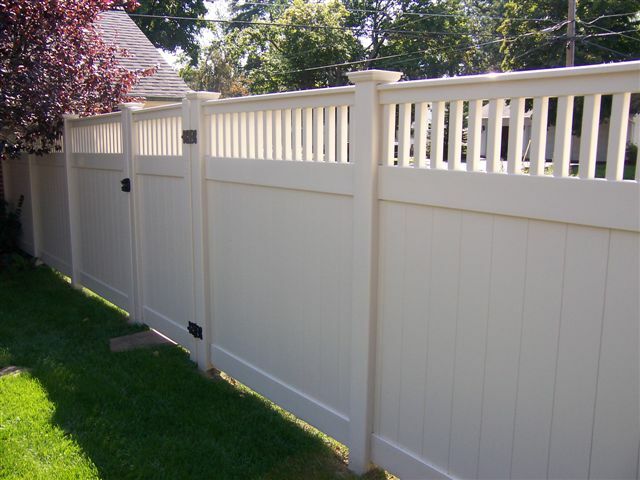 Available in 48″ tall or 60″ and 72″ XR, this fence features alternating 7/8″x 1 1/2″ and 7″8″ x 6″ picket spaced 1 5/8″ apart. A sophisticated look has never been so easy! 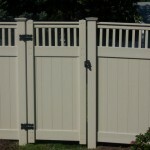 The Barrington II style fence is a semi-privacy fence available in heights of 60″, 72″, and 84″. Each section is made of a privacy panel with the top approximate 12″ lined with square picket. 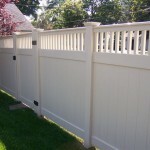 Be the envy of your neighborhood with a classy Barrington II style fence! The Bentley fence is available in heights of 36″, 42″, and 48″, and 60″ and 72″ with a mid-rail. Each of the 7/8″ x 3″ picket are spaced 3 1/2″ apart and are enclosed within the top and bottom rail for a clean, straight look. The Bentley fence is available in white, tan, and adobe! 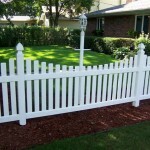 Was it your dream growing up to live in a beautiful home with a beautiful white picket fence to enhance its look? Find exactly what you want in the Covington Traditional style fence! 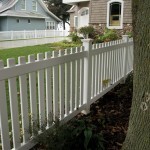 Available in heights of 36″, 42″, 48″, and 60″, the Covington fence is available with pointed picket caps or flat picket caps that top 7/8″ x 3″ picket spaced either 1.75″ or 3.5″ apart. The Covington Victorian style fence provides the classic white picket fence enthusiast an eye catching style that compliments any home, garden, or lawn. With it’s scalloped lines and decorative look, this fabulous fence is made with the intention to fully enhance your outdoor space. 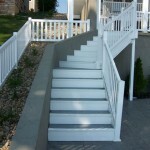 Available in 36″, 42″, and 48″ each picket is spaced 3″ apart and can be topped with either a flat or pointed picket cap. And let’s not forget the various post cap styles that can complete the motif! The Darlington style fence is perfect for those who desire a fence that doesn’t obscure the view. Featuring 7/8″ x 1 1/2″ picket spaced 3 3/4″ apart, the Darlington is available in 36″, 42″, and 48″ heights, as well as 60″ and 72″ with a mid rail. 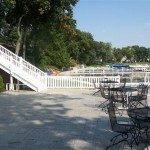 The Halstead fence features level pickets in the center and a rise closer to the posts. Available in 36″, 42″, and 48″ tall as well as 60″ and 72″ tall with a mid-rail,the Halstead uses 1 1/2″ square picket spaced 2 1/8″ apart. Vinyl fencing at it’s finest! Meet your needs and your budget! 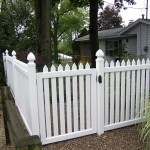 The Lexington style fence makes a great accent without being too costly. It’s available in 48″ and 60″ tall as well as 72″ tall with a mid-rail. Includes 1 1/2″ square pickets spaced 2 1/8″ apart. 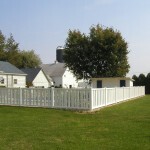 The Madison style fence is made using 7/8″ x 3″ picket spaced just 3/4″ apart. That means that, though not completely, the Madison provides privacy for your yard, patio, or pool without totally shutting out the breeze. 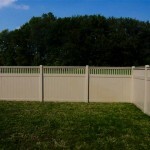 The Madison style fence is available in 60″ and 72″ heights and is sure to enhance your home. 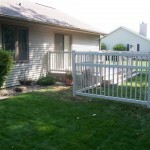 The Niagara style fence is perfect for ensuring the utmost privacy while still enhancing your home and yard. 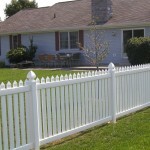 Made with interconnecting 7/8″ x 6″ pickets, the Niagara fence is available in 48″, 60″, 72″, and even 84″ heights. If you’re looking for complete privacy that won’t hinder your home’s beauty, look no further than the Niagara style privacy fence! 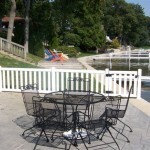 The Niagara with Lattice fence provides the same security and privacy as the Niagara style, but it includes a sheet of lattice within the top approximate 12″ for a decorative touch. Looking for privacy without losing your homes character? The Niagara with Lattice provides just enough privacy to keep you feeling secure without forgetting your decorative touch. Call it split-rail, horse rail, Post & Rail, or just fence, this is your one-stop for a great looking and long lasting 2-, 3-, or 4-Rail boundary fence. From decorative corners to 2000′ farms, Vinyl By Design’s Post & Rail will outlast all the rest.